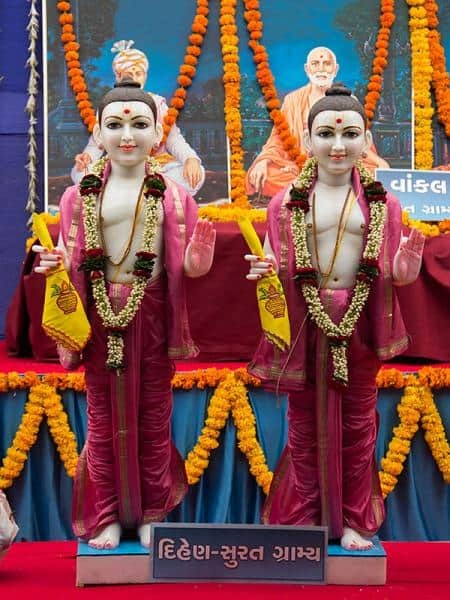 Bochasanwasi Shri Akshar Purushottam Swaminarayan Sanstha (BAPS) is a socio-spiritual Hindu organization with its roots in the Vedas. It was revealed by Bhagwan Swaminarayan (1781-1830) in the late 18th century and established in 1907 by Shastriji Maharaj (1865-1951). Founded on the pillars of practical spirituality, the BAPS reaches out far and wide to address the spiritual, moral and social challenges and issues we face in our world. Its strength lies in the purity of its nature and purpose. BAPS strives to care for the world by caring for societies, families and individuals. This is done by mass motivation and individual attention, through elevating projects for all, irrespective of class, creed, colour or country. Its universal work through a worldwide network of over 3,300 centers has received many national and international awards and affiliation with the United Nations. Today, a million or more Swaminarayan followers begin their day with puja and meditation, lead upright, honest lives and donate regular hours in serving others. No Alcohol, No Addictions, No Adultery, No Meat, No Impurity of body and mind are their five lifetime vows. Such pure morality and spirituality forms the foundation of the humanitarian services performed by BAPS. constructive and creative youth and children’s activities to channelise their energy, promoting education and social services. 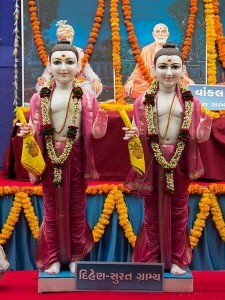 Bhagwan Swaminarayan actively propagated social reforms in India more than two centuries ago, and that tradition has been carried on by his spiritual successors. 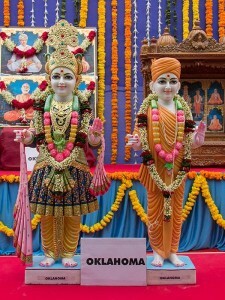 Today, Pramukh Swami Maharaj, the spiritual head of BAPS Swaminarayan Sanstha, personally examines the details of socially beneficial projects and activities.